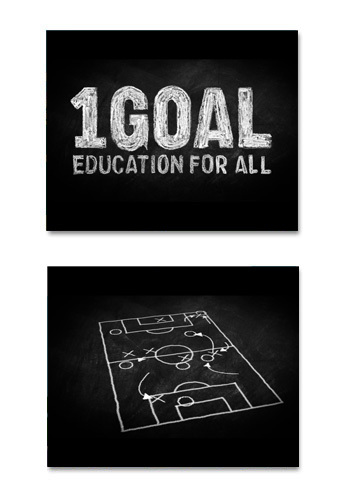 Brief: Create a series of animations to introduce the 1Goal brand logo at the book-end of various film / mobile outputs. Solution: We created a series of bold and simple animations - using hand drawn, chalk on board drawings - for various different media (such as mobile and web use). ** To view animations a high speed broadband connection is recommended. If you are still experiencing trouble playing the animation, please press the pause button to allow the loading bar to reach half way across the viewer, before playing movie.